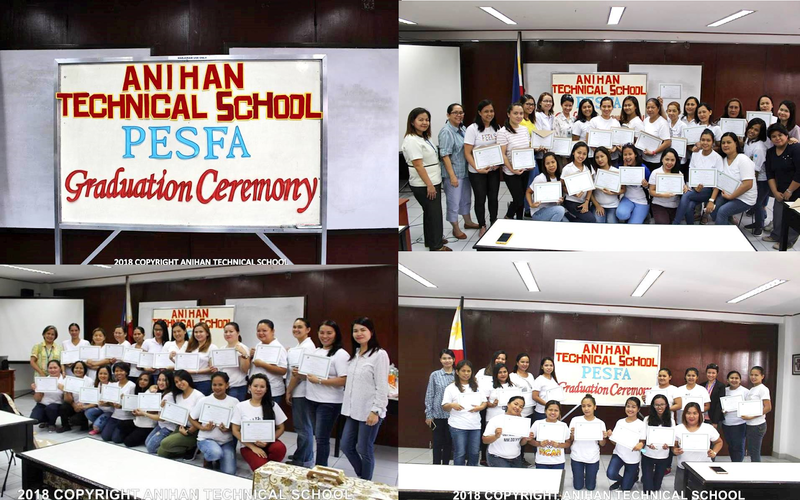 Anihan Technical School proudly held the Graduation Ceremony of PESFA on August 8, 2018 (First Batch), October 5, 2018 (Second Batch), and October 30, 2018 (Third Batch). The total of fifty five graduates are the grantees of The Private Education Student Financial Assistance (PESFA) with Bread and Pastry Production NCII of The Technical Education and Skills Development Authority (TESDA). The PESFA program was established through Section 8 of the Republic Act No. 8545, otherwise known as the Expanded Government Assistance to Students and Teachers in Private Education (GASTPE) Act.